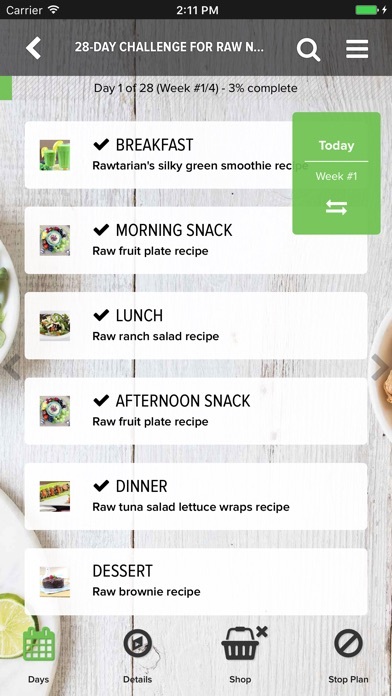 The official Rawtarian Raw Meal Plans app guides you through each day easily. No browsing, no decision-making and no need to choose recipes. Just start your plan and let me guide you through each raw day, meal-by-meal. Simple and delicious! 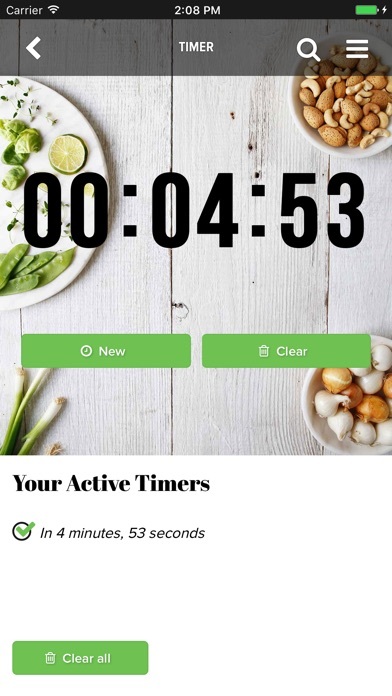 App contains 6 separate weekly or monthly raw food meal plans, including simple, satisfying raw recipes for breakfast, snacks, lunch, dinner and dessert. Meal plans include 100+ simple, satisfying raw food recipes, shopping lists, photographs of each recipe, comments, and more. The recipes in each meal plan are well-explained and simple to prepare. 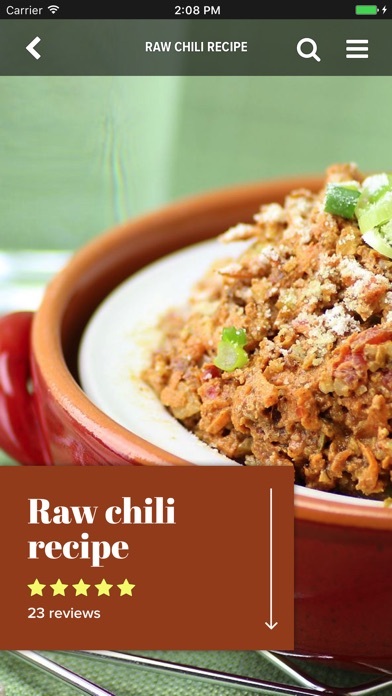 Only no-fail raw recipes in these simple raw meal plans! 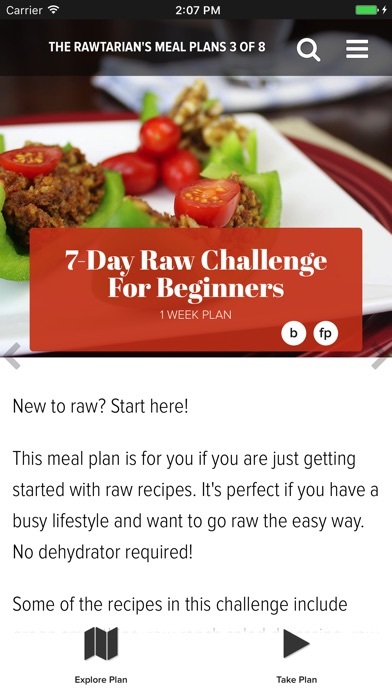 *ABOUT THE APP* Raw Meal Plans Included in This App: - 7-Day Raw Smoothie Challenge - 7-Day Raw Challenge for Beginners - 7-Day Rawkin' Challenge - 7-Day Raw Challenge for Intermediate Raw Fooders - 7-Day Raw Dehydrator Advanced Challenge - 28-Day Challenge for Raw Newbies - 28-Day Up-The-Raw Ladder Challenge - App automatically updates and installs the latest new plans as soon as they are released by The Rawtarian! Bonus Features: - Full nutrition information for each recipe. - Each meal plan contains recipes for breakfast, morning snack, lunch, afternoon snack, dinner and dessert. - Over 100 simple, satisfying raw recipes - hand-picked, the best of the best! - Handy weekly shopping lists (with checklists) to keep you organized - The ability to write your own private notes on each recipe - Zoomable pictures of each recipe to see what you're making - Ability to browse and add comments about each raw food recipe right in the app for tips from other users to avoid mistakes - No need to make decisions or get overwhelmed - No internet access required once downloaded - App automatically updates on-the-fly with the latest Rawtarian meal plans Download The Rawtarian's Raw Meal Plans app right now. These simple raw meal plans will simplify raw food and help you be the new raw you starting now! *ABOUT THE RAWTARIAN* Laura-Jane The Rawtarian is a leading creator of simple, satisfying raw vegan recipes. She is the author of Cook Lively (2017), the host of The Raw Food Podcast and a featured speaker at BlogHer Food in Miami, FL and the Canadian Food Bloggers conference in Vancouver, BC. Her recipes and photography have been featured in The Huffington Post, The National Post and Vegan Life magazine. She lives in Halifax, Nova Scotia, Canada. She shares 100+ free simple, satiating raw food recipes at www.therawtarian.com. (She is also the creator of The Rawtarian’s Raw Recipes app, which has been purchased thousands of times and has over 50 five-star reviews.) 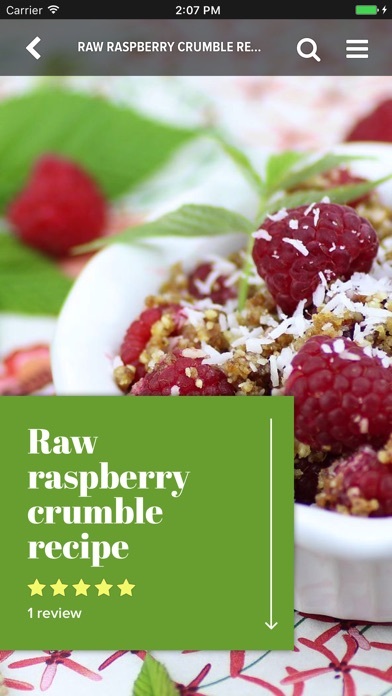 Simple raw recipes are The Rawtarian’s specialty! Some of her famous raw food recipes include raw brownies, raw lemon bars, raw food veggie burgers, raw crackers, raw cheesecake, raw chocolate macaroons - and much more. 75,000+ Facebook fans know and love The Rawtarian’s simple, satisfying raw vegan recipes: www.facebook.com/therawtarian Join us and go raw the simple way! *CONTACT AND REVIEWS* If you have any problems with the app please email me and I will respond right away! [email protected] If you are unsatisfied with the app for any reason just email me and we can work out a solution! [email protected] If you enjoy this app please leave a review here in the app store. I would greatly appreciate it. :) Enjoy! 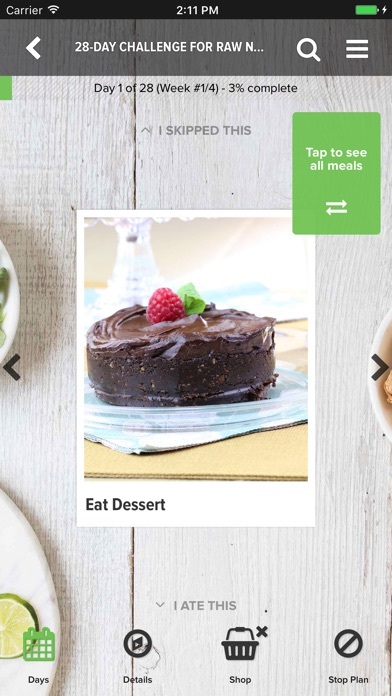 Easy to navigate and has any and all info you need for a raw meal plan. Very creative recipes so you don't get bored. Great pics! - autor:ObMomma - title:Perfect! I just finished the 7 day challenge for beginners and I feel great. I really like the app. It gives you a shopping list, daily menus, recipes and also comments from others that are following the plan as well. The recipes are surprisingly delicious. At first when I was making the dip or the ranch dressing, It didn't look like it would taste good, but I was pleasantly surprised. It was really really good. I downloaded the app on my iPad and iPhone and did not have a problem reading any of the pages or recipes. I am planning on starting the 21 day challenge on Monday. - autor:Jackalilla - title:Yay, 7 days down!!! I have tried a raw diet before and it was overwhelming because I never have time to find recipes. Eating fruit and vegetables plain can be boring. This app takes all the work out of it. I am so grateful! - autor:Crc123star - title:Love it so! Pros: This app is the perfect companion for anyone looking to dip their toes into the mind-blowing world of raw dieting. You won't believe how filling, creative and satisfying these recipes are. 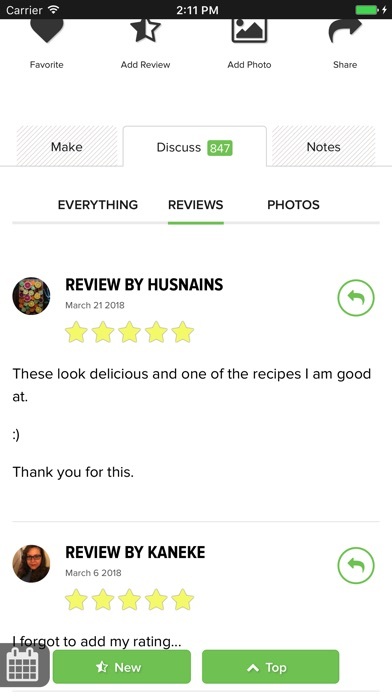 Every recipe has pictures, comments by the chef, easy instructions and a comments section that is frequently visited by the Rawtarian herself to leave encouraging words and respond to any questions. Absolutely worth three times what this app is selling for. Cons: my only change would be to have a way to just browse the recipes without having to "start" and "stop" the different weeklong diet plans to see what is possible to make. A small nuisance for such an outstanding resource!! - autor:JessicaTheRabbit - title:Absolutely a winner!! Very helpful app! I received many compliments on my glowing skin after only a week. - autor:heartofasilver08 - title:Awesome app!